London-based food and drink experience company, The Ingredientist, has teamed up with Forbes whisky writer and tasting host Felipe Schrieberg to launch a new and unique whisky experience, Dram & Eat. The premise is simple and decadent: every sip of a good dram of whisky deserves a bite that complements it perfectly. 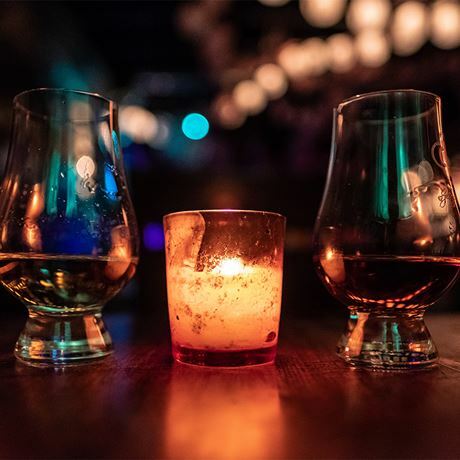 Prepare to be taken on a boozy journey where you will taste five whiskies handpicked by Felipe for their quality and variety of flavour profiles. Even better, each whisky will be partnered with a canapé designed to enhance the aromas and flavours you'll find in your glass, with the same whisky also featuring in the recipe of the pairing. During the tasting, Felipe will teach you techniques that can help you appreciate whisky and train your nose and palate, and delve into the history and production of whisky as well as current industry trends. Dram & Eat is perfect for foodies, anyone interested in learning about whisky or someone just looking to taste something delicious. What are you waiting for? Come on and join Dram & Eat!